At Four Ingenieros Foundation we do it for the kids! We decided to give some advice, tips, stories, and lessons learned from the founders themselves. These tips and experiences have helped them strive from their early days as students and into their engineering careers. To start off this Professional Tip #1 we’d like to remind everyone that our end-of-the-year fundraising campaign is in full effect. Please donate now! We hear it all the time, “You need a mentor.” It may be for your personal or professional life. In this case, let’s talk about the professional life. Mentors are needed to help you grow in your career, lead you in the right direction, build you up when you are down, help you set goals, and inspire you with their personal stories. Seems straightforward, right? It is not that easy. Finding one is step one. Step one is the most difficult step. In my experience, I have found different mentors in different types of networks. Many of these mentor relationships started with networking, observing from afar, and seeing how much you identify with the person. To a certain degree, you will relate. It could be because you have similar childhood struggles, your personalities align, or they share inspirational stories that motivate you to set higher and higher goals. I have found many of my mentors at work and through many professional organizations. Many times I have seen them at repeated events and witnessed their dedication and passion for what they do. These are prime candidates that will guide you through tough decisions in your professional life. Step two is the approach. How do you ask a person to be your mentor? Do you just ask them? When do you ask them? What if they say no? These are valid questions. Let’s break it down. Asking someone to be your mentor can take time. In my experience, I have not needed to ask them to be my mentor is just has happened. Over time, you develop a constant communication, and trust develops. It naturally progresses into a great mentor-mentee relationship. This does not happen in all cases. The question needs to be asked to set the relationship. I have had mentees sit down with me and in a formal setting ask me if I would be their mentor. It is that easy to ask. Assuming you did step one, step two should fall into place because you know that this person has a passion to help and stories to tell to inspire you. Step three. How do you sustain a relationship with a mentor? When you have a mentor, ask them questions about problems you may have. Ask for advice you may need. This may help with the first couple of meetings and conversations. A mentor is not needed just once but should be sustained like any other type of relationship. Keep them in the loop about projects you may be working on or tests that you may have. They are always willing to listen and even give advice on how they approached similar situations. Another strategy to keep constant communication is meeting once a month and talking about a professional topic, such as a self-help book you may have read in career advancement. Even if I did not have time to read, I would reference topics based on HBR daily topics. Harvard Business Review has many excellent, professional self-help topics that can help you engage with your mentor. I can not say that I have become successful all by myself. We are helped in many ways during our journey to the top. I have been led and continue to be led by many great people I call mentors. I Just graduated with my bachelor’s in mechanical engineering and now it is time to look for a job, I was fresh out of college with one summer internship under my belt, very little experience in today’s job market. For those who know my journey it was not easy to get to this point but the one thing about me like many of you who can relate to my story have something called ganas, this inner persistence that does not allow you to quit. After job hunting for a couple of months I got an interview with Glenair, a company who specializes in mission critical interconnects for aerospace and defense. The advice we give students today about researching, looking at past and current projects and really investing yourself in the company you are about to interview with came a long way for me during the interview. They knew I did not have a lot of experience, they knew my gpa was not the best, but they saw potential through the explanation of my projects and how knowledgeable I was to describe them in detail. They were glad to see my go-getter and willingness to learn attitude during the interview which were some of the main traits they were looking for in their next candidate. I was hired under the Complex Cable Group (CCG) department where the most difficult cable harnesses are manufactured, tested and certified. Soon after being hired I was given difficult projects, I was sure that everything that I have been through had prepared me for this moment – the moment when they ask, Neff can you do this? Neff, I want you to lead this project, Neff can you run these tests? Happily, and without hesitation my reply was always YES! Then reality sets in, I had no idea what I had said yes to, where do I start? How do I do this? I just graduated, I have no experience?! Help! I promise this will happen to you, breathe, everything will be fine. After All, we are engineers and it is our job to figure things out. The rigorous coursework has developed our minds to think differently and come up with different solutions to problems. It is ok to not have all the answers but long as you have a go-getter mentality, do your research and ask for help you will be successful. Saying yes to everything helped me become involved in many projects early in my career, this gave me visibility within the company and became a reliable engineer. Becoming a reliable engineer who the company can depend on helped me work on one of the biggest projects in my department, establishing standards and manufacturing procedures that are still being practiced today. As mentioned before I was leading big projects, within months I was tasked to interview prospective candidates and I was given the responsibility to make critical decisions. As a starting engineer it is very important to fully establish yourself in your company, do what it takes to become visible, reliable and a go-getter will help in the long run. My advice to those who are interns or are just starting their careers is to fully immerse yourself, this is the opportunity you have been waiting for, so give it all you’ve got, make it count! It can become the difference between getting called back for another internship opportunity, advancement or even retention. I was a sophomore at Santa Barbara City College, and I just had learned about a local start up in town called Sonos. I stumbled upon their website and immediately fell in love with their speakers and their technology. I knew that my next internship was going to be with them. I just needed to apply and make it happen. But how? I went through their job site and found nothing. They had zero internship opportunities available. I was bummed out, but I did not let that stop me. Next thing I knew I was searching for an email, any email on the site. Then I found ceo@sonos.com. Was I going to dare to email the CEO? Yes. I emailed him my resume and expressed a strong interest to work as a software intern for Sonos. Sadly, I did not hear back. A month passed, two months passed, but nothing. I did not give up. I emailed the CEO again and kindly said I wanted to work as an intern for his company. A month passed, two months passed, and still nothing. I finally got a phone call one day. It was HR telling me that they indeed received my emails and I was not being ignored. This gave me a rush of excitement. HR told me that they were going to start an internship program and I would be eligible to apply. I would be interviewed by their software test manager. In the next few days, I received that phone call, and the interview happened. I was not promised anything that day, and I was not satisfied with the results. I knew if I really wanted this to happen I needed to stand out from the rest. I needed to do something that nobody usually does. The next thing I did was email the software test manager a month later, and I expressed my interest, again, as a intern at Sonos. I wanted to talk to him and ask him questions about Sonos over coffee at Starbucks. This would show him that I was genuinely interested. I was not like any other applicant trying to find an internship; I was a motivated, strong individual who put in 110% to achieve what I wanted - to work at Sonos. After that talk over coffee, I received a call from Sonos and the rest is history. I’ll let you in on a little secret, I do not like coffee but it was worth it. I got the internship and a huge confidence boost. When you apply to internships, go above and beyond. Do more than the regular applicant. Show them you are truly, genuinely interested. Ask yourself, “How badly do I want it?” What is it that you will do to get your next internship? Share with us your thoughts or experiences. 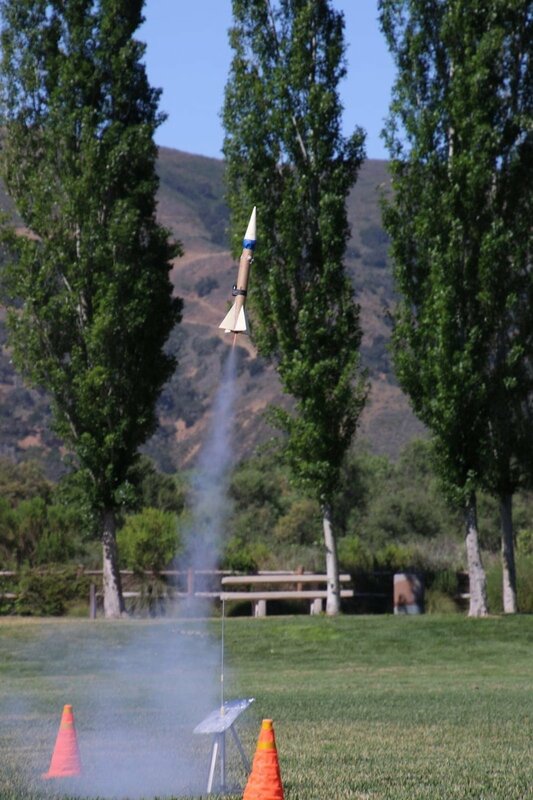 On Sunday, June 03, 2018 we had our 2018 FIF Engineering Competition rocket launches in Buellton, California. 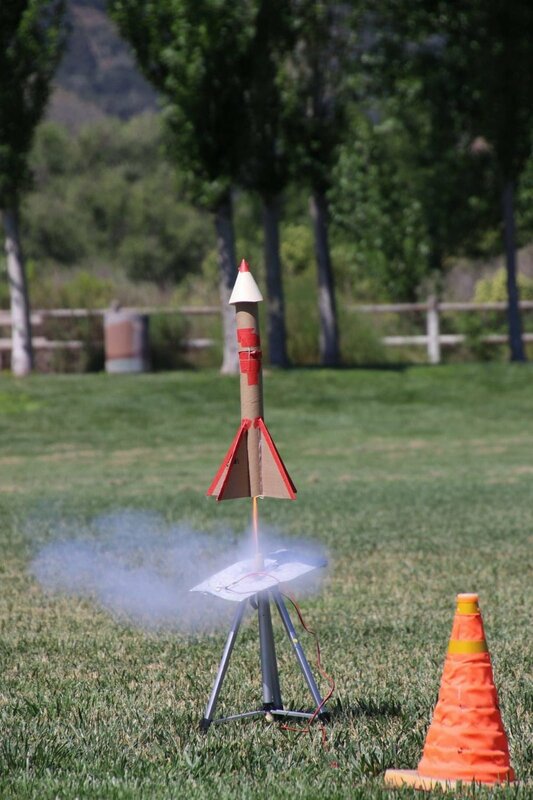 We had about 10+ students show up and launch their team rocket. 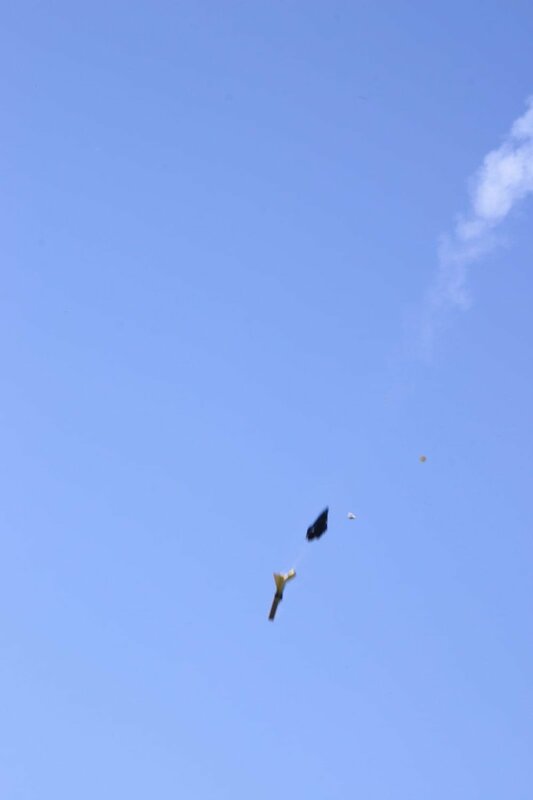 We had a blast, no pun intended, launching these student made rockets. 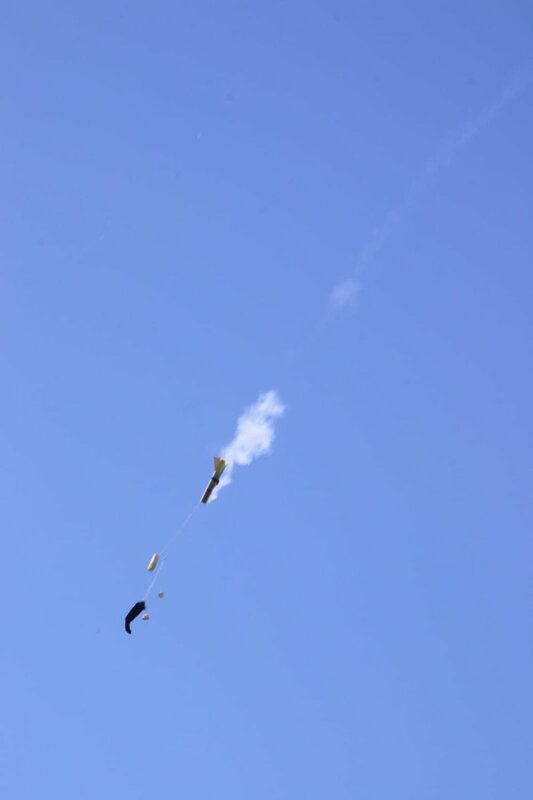 We saw rockets climb 60+ feet in the air while some did not have the same luck and descended with a broken payload. Enjoy some of the GIFS, Pictures, facebook live video below. On Saturday April 21st 2018 Four Ingenieros Foundation held its annual engineering competition. 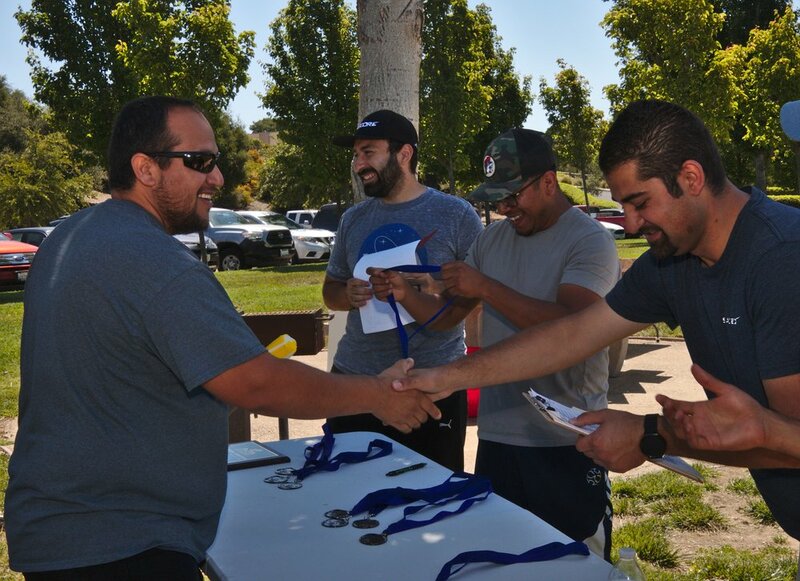 This year’s competition took place at Procore Technologies in Carpinteria, California. Last year, the focus of the competition was on computer science with a small portion of circuit fundamentals. This year the competition was heavily focused on project management via Procore Technologies Construction management software. Thanks to the generous support from Procore Technologies, Four Ingenieros Foundation was able to provide a unique experience and a real world simulation of project management to our student participants. Each year Four Ingenieros Foundation aims to expose students to different skills sets that will be fundamental in their ability to adapt and succeed in any industry environment. 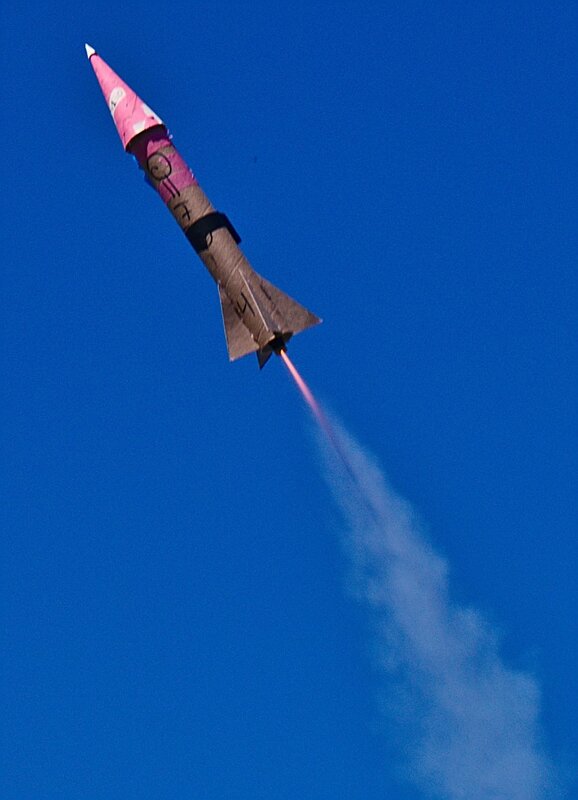 The task for this competition was to project manage a rocket where students were given a budget, a list of materials, and requirements. They were instructed to manage their project using Procore software with a list of tools that are basic to project management. Some of the tools that students were able to learn and use were: how to make purchase orders, how to control and monitor budgets, how to request information using the RFI’s tool, how to reference different resources using the documents tool and how to use the inspection tool which helped students meet the project requirements. The exposure to project management was fundamental for as it taught students how to work in teams and learn that each team member brings a unique set of skills. Some members took on a leadership role, while others were more hands on. 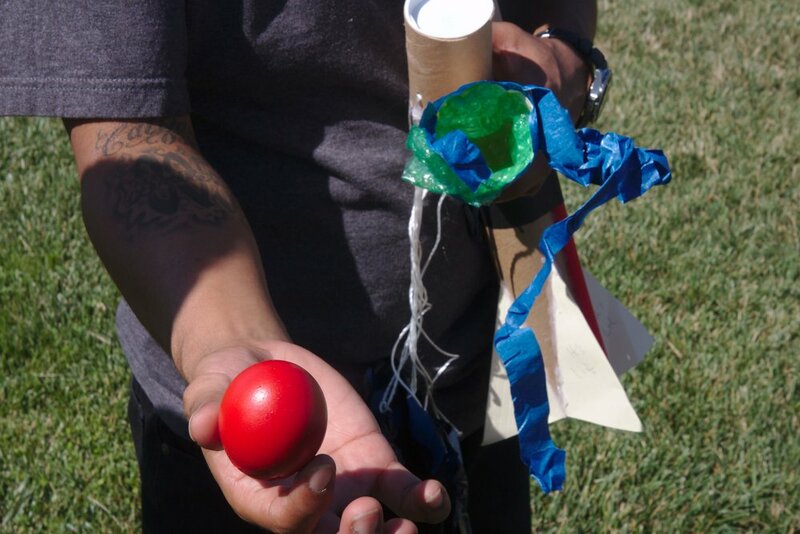 In addition to the project management software tools, students were able to do some hands on work with the design and fabrication of their rocket. Towards the end of the competition students were given the opportunity to present their project management, design and fabrication approach in front of the audience. It was a common theme that working in teams is crucial to any environment with goals to accomplish a task (ie. 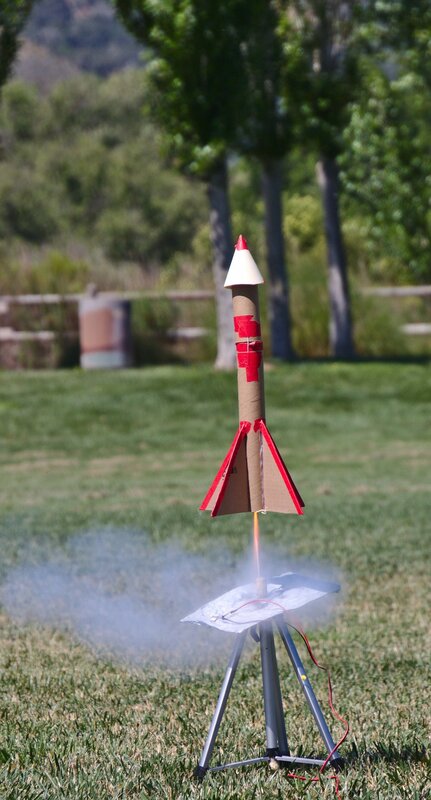 rockets, automobiles, class projects). Some students were more into the project management aspect of the competition than others who enjoyed the manufacturing and fabrication process, all which are imperative to any project of any capacity. When you land your first internship or industry job you will be put in a situation where you will need to learn and adapt to the companies tools and ways of managing projects. Students were put in this situation and had to work efficiently to quickly learn how to use all the resources that were made available to them. It is important that Four Ingenieros Foundation be able to have the support and resources to continue helping students. These types of competitions give us the opportunity to have students dive in to new areas they would not see in a classroom setting. It is also an opportunity to offer a new perspective and a different dynamic from academia but more importantly give them a sneak peak into the world of industry. Students were surveyed before and after competition and we asked them these questions... 1 is "Nothing at all" confidence and a 5 being "I am an expert" confidence. Non-Profit Status Update: We are a Non-Profit! Santa Barbara, March 09, 2018 Supporters, friends, family and students, today marks an important date in our history as an organization. From the early conversations in our living rooms, to participating in events for other organizations, we have always had a desire to help and motivate underrepresented students to further their education in science, technology, engineering, and mathematics. With the goal of providing educational assistance towards underrepresented students who dream of obtaining a career in STEM, the idea of Four Ingenieros Foundation was born. We shared our organization's vision with the world on December of 2015 with our first fundraiser and launch party. Four Ingenieros Foundation would like to thank our family, friends, supporters and students for the continued support through purchasing raffle tickets to participating in our engineering competitions. Each one of you have inspired us to continue creating opportunities that will better serve our students and the community. We want to help our students succeed and seize every opportunity that comes their way with great confidence. With this reflection, all of us at Four Ingenieros Foundation are excited to announce that we are officially a non-profit, 501(c)(3) organization! All donations to Four Ingenieros Foundation are now 100% Tax deductible. Please consider donating today to help us celebrate this big milestone! Thank you for believing in our vision and your contributions in helping us serve our students. Application open for the FIF Engineering Competition 2018! Four Ingenieros Foundation would like to announce our second annual engineering competition! This year the competition will focus on how Engineering and project management are intertwined. How do big projects make it on-time and on-budget? Do you want to take your STEM skills to the next level? How far up in the sky do you want to reach? We have partnered with Procore a construction management software company in Carpinteria, California to host this year’s competition. We are excited to bring this opportunity to you! Each year we try to introduce different skills crucial for your success in STEM so make sure to sign up now as space is limited and take advantage of this great opportunity! In December of 2017, Four Ingenieros Foundation was selected to be part of Santa Barbara Gives, a fundraiser campaign put together by the Santa Barbara Independent and The Fund for Santa Barbara. We would like to thank all the donors who contributed to our fundraiser. With your help, we were able to raise over $2,000 dollars! This money will be used to put together our annual engineering competition for the many underrepresented STEM community college students from the Santa Barbara County. This competition will help expose these students to a tangible, hands-on project where they will not only apply their learned skills, but also be exposed to the many components that involve working in a team to complete a technical project. With your kind donations, we can continue to work on getting these students the experiences they need in order to succeed in their educational careers. Thank you! Four Ingenieros Foundation partnered with the Housing Authority of the City of Santa Barbara, an award-winning local public agency whose mission is to provide a safe, decent and quality affordable housing who in addition provides supportive services to eligible persons with limited income. With this unique partnership and extending our push for more STEM outreach and local awareness. Four Ingenieros Foundation has opened up the Spring 2017 semester book grant! We invite those students from Santa Barbara City College majoring in STEM to review the scholarship requirements and encourage you to apply. Our book grant scholarship is open to all students with no regards to class standing, GPA requirement and is open to undocumented students as well. A simple application is available on our website under “Book Grant” or follow the link: https://fouringenierosfoundation.org/bookgrant/application/. The application will run from December 28, 2016 until January 31, 2017 at 11:59 PM . Don't miss this great opportunity! On December 5th, 2016 Four Ingenieros Foundation accomplished another milestone on the path to provide more resources for underrepresented students pursuing a career in STEM. The Fund for Santa Barbara awarded Four Ingenieros with a grant that will allocate funds for a mentor-driven engineering competition aimed to encourage underrepresented students in the STEM fields. Our Founders attended the 2016 Year-End Grant Awards Celebration at the UWD offices in the city of Santa Maria, where they proudly and humbly accepted this award. The FUND FOR SANTA BARBARA’s grant-making and technical assistance programs support community groups working for social, economic, environmental and political change throughout Santa Barbara County. Since 1980, the FUND has awarded over $5 million to more than 1,000 community projects and organizations including CAUSE Action Fund, Environmental Defense Center, SBCAN, Pacific Pride Foundation, Just Communities, Independent Living Resource Center, and Conflict Solutions Center. In addition, the FUND provides free technical assistance in the areas of fundraising, community organizing, organizational development, advocacy, strategic planning and effective use of media to more than 300 projects each year. On behalf of Four Ingenieros Foundation, Neftali Aguilera and Luis Miguel Garfias presented the project to supporters, allies and other recipients in the ceremony. “Four Ingenieros Foundation was formed to contribute opportunities in the Santa Barbara County through STEM awareness, support and participation. We believe that an education in STEM transforms our world, our culture and our communities. We envision a world where minorities are key contributors and innovators in the science, technology, engineering, and mathematical fields. Four Ingenieros will launch the first edition of its annual engineering competition with the aim to engage, stimulate and provide hands on experience to community college students from the Santa Barbara County who are pursuing a career in STEM. We encourage you to also be part of this change and dive deep in the world of STEM” Four Ingenieros Foundation is extremely thankful for the opportunity to give back to our community and be part of this social change. It is gratifying to have the support from organizations like the FUND FOR SANTA BARBARA and ADSUM FOUNDATION, believing in Four Ingenieros objectives. Finally, Four Ingenieros would like to thank all of our supporters for making an immense impact on the lives of our STEM students. FOUR INGENIEROS wishes you and your family happy holidays and a new year full of success. Four Ingenieros Foundation was invited to Santa Barbara City College Visionaries Circle event at SBCC's Garvin Theater. "The SBCC Foundation has been partnering with community supporters to bridge the gap between what public funds can support and what SBCC needs to set the standard for educational opportunity, achievement, and excellence." We are very humbled that Four Ingenieros Foundation is making headlines. We were interviewed by the Scholarship Foundation of Santa Barbara and they perfectly captured our message. 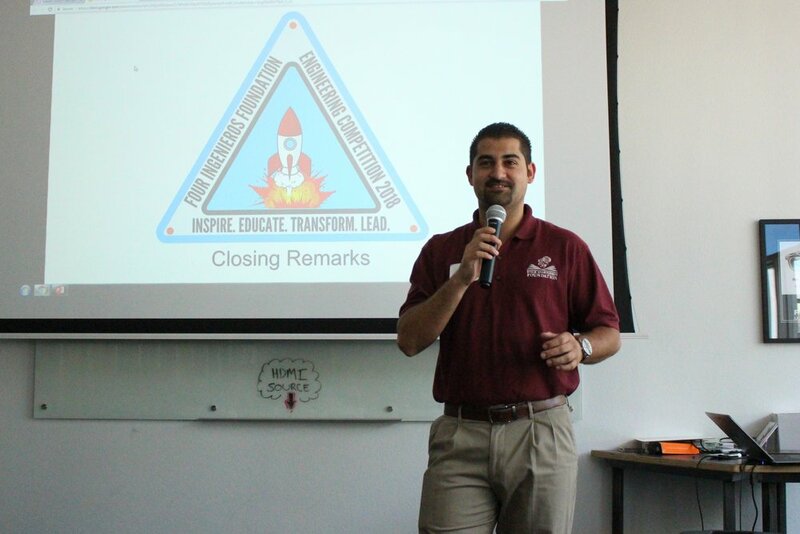 We want to inspire minorities to choose STEM as a career path. "Rarely did [we] hear people suggest, 'You should be an engineer'". To read the full article please see the Scholarship Foundation of Santa Barbara Annual Report. We are happy to announce the winners of our 2016 Four Ingenieros Foundation Raffle Fundraiser. With great success we raised over $1,210 for our SBCC STEM students and will go towards Spring Scholarships. On Saturday June 25th 2016 two of our founders, Neftali Aguilera and Noe Gonzalez had the pleasure of being part of a student panel at UCSB for EOPS Summer Institute program. The EOPS Summer Institute is a three day program where students are engaged various workshops to motivate and inspire its students. Neftali Aguilera was part of the first EOPS Summer Institute group in 2007 as an EOPS student, it goes to show the power and the impact this program has on its participants. Both of our founders are also former EOPS students at SBCC and are a product of the hard work of the EOPS program. During this evening they shared their powerful life stories and their educational journeys with EOPS students from many community colleges in the tri-counties. Students were also able to engage with our two founders asking advice about the transfer process and what resources are available for transfer students. We are humbled with this experience and we look forward to participating in many more outreach events. We would like to thank the EOPS Summer Institute for considering us and for having us this evening and we would also like to thank Eli Villanueva for continuing to be a strong support for EOPS Students at Santa Barbara City College. All while making new friends, making connections and living the university life! Program Mission:To provide an over and above experience for EOPS students that promotes retention and the pursuit of higher education. In addition, our objective is to build self awareness, a sense of community, create a vision to pursue higher education, and provide development of leadership, academic, and life skills. Four Ingenieros Foundation is happy to announce our second fundraiser of the year. Your generous support will help fund educational programs and book grant scholarships for the next academic year for students at SBCC. There are three prizes you can win which include a Trikke, an Amazon Tablet and a gift card to Pizza My heart!